Demi Lovato has rekindled her romance with Wilmer Valderrama. The 'X Factor' USA judge - who was recently linked to One Direction singer Niall Horan - enjoyed a romantic meal with her former flame at an exclusive Los Angeles restaurant on Sunday night, sparking speculation they are back together. After dinner, the pair - who dated in 2010 for several months - went back to Demi's nearby home. 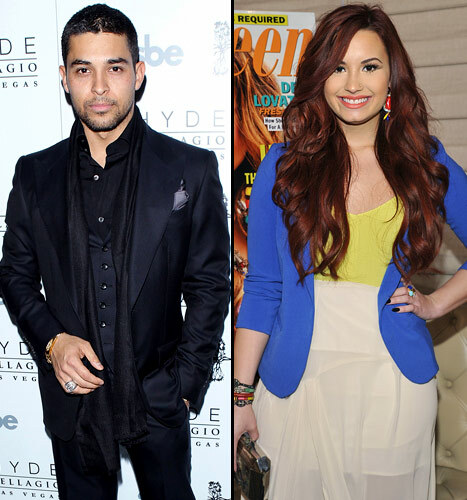 Wilmer - who, at 32, is 12 years older than Demi - has always spoken fondly of the 'Skyscraper' singer and says he is proud of how she has overcome all the problems in her personal life. He said:"'We were really just best friends. She's amazing; she's a great human being. And I'm so proud of her considering all of the different obstacles and everything she's been through. "I mean, she's got a pretty good head. I was very proud to be there for her when she needed me, and she was there for me a number of times too. And we have a great friendship." In October 2010, Demi checked into rehab for three months, where she successfully received treatment for her eating disorders and self-harming.